Luxury has a name and that it’s Hermès. A small brand tied to sophistication, craftsmanship and the equestrian world being, without doubt, one of the most famous in the world. Thierry Hermès stablished in 1837 a harness workshop in Paris; which designs were handmaid with the best materials and combined functionality, quality and elegance. In 1880, Émile-Charles took over the management of his father and moved the shop to Faubourg St. Honoré Street, where still remains. In 1880 The shops moves to Faubourg St. Honoré Street. Years later he’s grand-son, who was a progress enthusiast, took over the company and introduced what we now know today as the zipper. With the pass of the time, the luxury brand diversified itself and started selling haute couture and perfume. But it wasn’t until 1937 that they commercialized silk handkerchiefs for the first time. In 1937 Hermès created their first carré called Jeu Omnibus. It measures 90 cm and it’s crafted of 100% silk. Nowadays there are around 900 different designs. Today, one of the most wanted designs is the Kelly bag. It’s original from the end of XIX century and gets its name from the actress who made it popular. 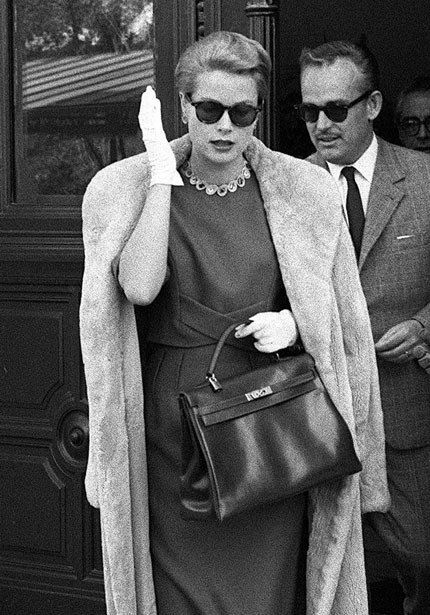 Grace Kelly photographed and published on the front page of Life magazine carrying the bag “Sac a Depeches”, covering her pregnant belly while leaving Paris Hermes store. In 1956 Grace Kelly was photographed and published on the front page of Life magazine with a Hermès bag. Since then, it’s called the Kelly bag. If we have to mention a famous Hermès icon, for sure that it’s the Birkin bag. In 1984, the actress Jane Birkin was on a flight with Jean-Lois Dumas, the Hermès director and, after dropping all her bag belongings, she complained that she was not able to find any bag that she was satisfied with. Consequently, he invited her to France where they co-designed the legendary bag. In 1984 Jean-Lois Dumas and Jane Birkin designed the legendary Birkin bag. Generation after generation, the luxury brand has been able to keep its original values, being a timeless symbol of quality and elegance. CBL Bags are experts in buy and sell luxury and second-hand bags. In our catalog, you will find Chanel bags, Hermes bags and Louis Vuitton bags. Are you thinking of selling your bag? Contact us!